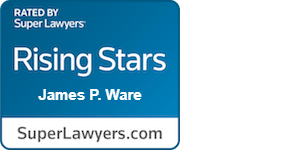 Shareholder James P. Ware represents clients in complex litigation, before appellate courts, and in challenges to federal and state tax assessments before Washington’s Department of Revenue, the Board of Tax Appeals, and the United States Tax Court. His clientele generally consists of business owners and their companies in a variety of industries, ranging from moving companies to technology firms. 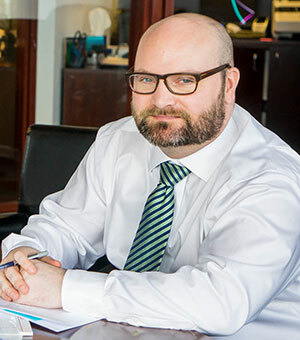 With nearly a decade of legal experience, James’s practice includes a wide range of legal issues that businesses and their owners confront. 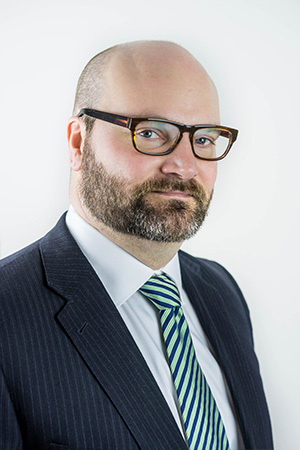 James believes that his role as an advocate is to focus on his clients’ goals and develop a strategy aimed at achieving those goals in a cost-efficient and timely manner. In addition to his litigation experience, James has also obtained favorable results in numerous appeals before Washington’s Court of Appeals, the Washington State Board of Tax Appeals, and Washington’s Department of Revenue, Appeals Division. James is originally from Colorado where he developed a love for the outdoors, music, and cycling. In his personal time James enjoys hiking, riding bikes, and occasionally playing his French horn with local community symphonies. Obtained judgment against the creator of an EB-5 Regional Facility for violation of the Washington State Security Act. On summary judgment, Mr. Ware was able to show that the creator of the investment scheme made material misrepresentation in the Private Placement Memorandum for the Project and that the investor’s reliance on those misrepresentations was reasonable. The total judgment amount exceeded $750,000.00. Obtained a dismissal of an assessment by Washington’s Department of Revenue against a Kirkland based national moving company for its purported failure to collect retail sales tax on packing equipment. After James submitted his brief to the Board of Tax Appeals, the Department stipulated to a dismissal of the assessment. Successfully litigated reversal of a $160,000.00 DOR assessment before the Board of Tax Appeals for an online hookah and shisha tobacco wholesaler for purported unpaid Other Tobacco Products (“OTP”) tax. Successfully prosecuted a derivative action against the majority member of an LLC for various self-dealings and mismanagement of LLC funds. In the judgment the trial court found that the majority member of the LLC was not entitled to any of the assets of the LLC upon judicial dissolution because it was proven at trial that his capital account was negative.